this tool can extract Normal map in one single image within 3DS Max. So you don't need to use Photoshop to collaborate all these map images in a single image file. Baking process will be easily done in a minuite by using this tool. this tool can extract Normal, Diffuse, Ambient Occlusion, Lighting map in one single image within 3DS Max. This script will transfer the normals from a source object to a target object, based on distance. Pick the source object, select the target object/faces and press steal ! Works with any geometry object. Adds an Edit Normals modifier. Script will be found in the customize UI under category "Noors"
update v1.01: should work fine in 2011/2012 now. update 93b: the projection plane now resizes and sticks to the background when changing the focal length. 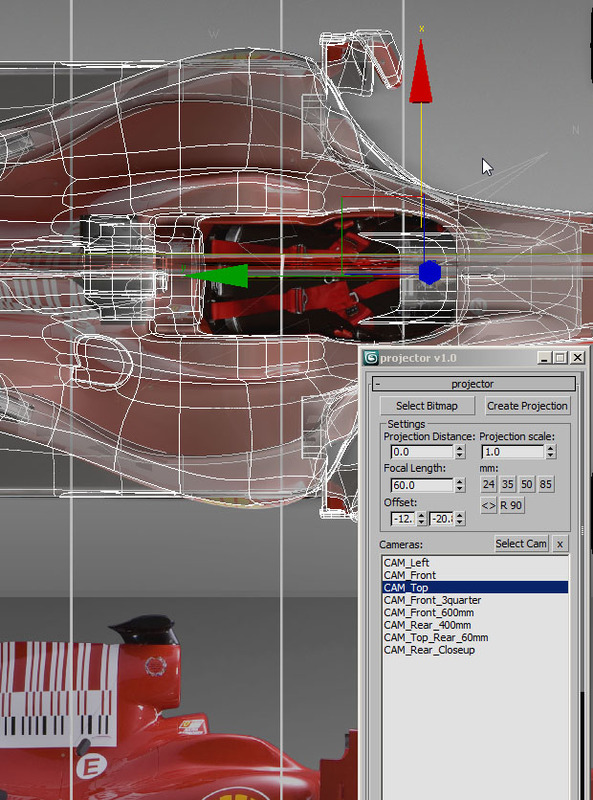 A tool to help speed up the workflow for 3d modelling using image reference. Projector creates a projection image and a camera. The controls allow you to quickly change the camera focal length and the projection distance scale etc. so that you can align images to a model and quickly match the perspective.